Share with us your favourite REIT and the reason why you like to invest in them! Many Singaporeans enjoy investing in properties. Investing through Real Estate Investment Trusts (REITs) are one of the ways an average Singaporean can invest in the real estate sector without having to spend close to a million dollar on an entire property. REITs purchase buildings while leasing out the space to tenants. Investing in a REIT allows you to have a small stake in the major buildings REITs have under their belts. Some of these REITs also give you international exposure. REITs are popular for a number of reasons such as its high yield and diversification. However, with higher dividends also come higher risks such as interest rate and instability of the real estate sector. With 7 different types of REITs in Singapore, you can choose to invest in the sector that interests you most. Healthcare REITs make investments in healthcare facilities. This includes hospitals, nursing homes as well as assisted living properties. Parkway Life REIT owns the largest portfolio of private hospitals in Singapore. This includes Mount Elizabeth Hospital ad Gleneagles Hospital. Besides Singapore property, Parkway Life REIT also owns assets in Japan. Healthcare is a basic necessity for every Singaporean, making healthcare REITs a more defensive, resilient investment option. We all go to the doctors’ to treat our illnesses and to get the appropriate treatments. With Singapore facing an ageing but more affluent population, the healthcare sector will have greater importance in catering to the needs of the elderly. As the demand for healthcare increases, infrastructure to support the medical facilities will be crucial. Commercial REITs are often known as office REITs. These REITs have numerous office buildings under their company. For example, CapitaCom Trust owns Capital Tower, Twenty Anson, HSBC Building and more. It’s a tenants market now for office units in the real estate market. With more supply than there is demand for office spaces, commercial REITs might not attract the interest of some retail investors. However, with co-working spaces becoming a popular working environment, interest has been garnered in this sector. Co-working spaces are now a common site when visiting offices, especially for smaller companies. This not only maximizes the utility of the office space but also supports a culture that encourages communication and sharing of ideas. The landscape of office spaces and buildings are also changing, with an increasing focus on providing employees with a lifestyle outside of work. Offices outside of the city are also becoming more popular. Industrial REITs own facilities that are used for industrial purposes such as warehouses, manufacturing centers, undeveloped land and business parks. When assessing industrial REITs, investors tend to look at their occupancy rate and their location. Ascendas REIT is the largest industrial REIT in Singapore with business and science parks properties, amenities and retail properties, logistics and distribution centres and more. Industrial REITs are driven by the manufacturing sector. Industrial spaces are adaptable and can be converted for various needs. The industrial sector for REITs has been relatively attractive with the growth rates the past few years. Hospitality REITs operate properties such as hotels and serviced residences. Some of the REITs in this sector have properties outside of Singapore as well. Hotels in the hospitality sector are almost completely dependent on tourist arrivals. Singapore is ranked as one of the top tourist destinations in Southeast Asia. With the constant stream of tourists into the country, the hospitality industry looks to continue attracting investors. 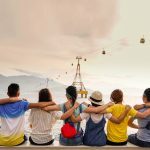 However, tourism is greatly affected by news and economic downturns. For example, major health outbreaks and natural disasters have an adverse impact on tourism. This would be the REIT sector most relevant to shopping mall-goers. 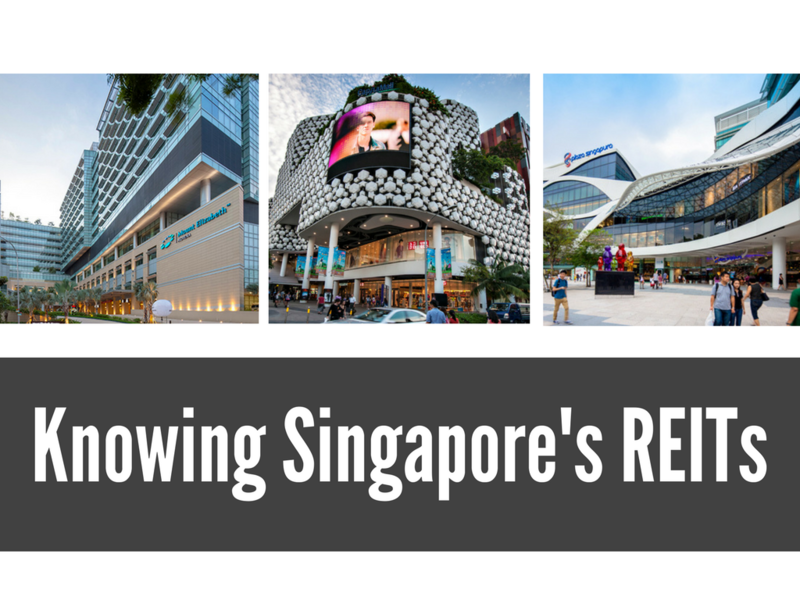 Most shopping centres that you visit are likely to be owned by a REIT. For example, Bugis Junction, Bugis+, Plaza Singapura, JCube and Raffles City are all owned by Capitaland Mall Trust. Occupancy rate as well as the rate of turnovers are key components to consider when looking at Retail REITs. Retail REITs are popular for retail investors as it is comparatively easier to understand how the REIT works. Retail investors can also do their own site inspection by going to the respective malls and observing the operations and foot traffic. In recent years, the physical retail space in Singapore has been in a decline due to the rise of e-commerce. Fewer and fewer people are heading to shopping malls for their purchases. However, shopping malls have not been made obsolete especially in the heartlands where Singaporeans still need to shop for daily necessities. Malls are also constantly trying to update themselves to be more attractive to visitors. Residential REITs are the least common in the Singapore market. These REITs own apartment buildings and other homes. In this sector, Saizen REIT is the main player with investments in Japanese residential properties. The REITs ETF makes investing in REITs simpler for an average Singaporean. As with all ETFs, the REITs ETF is great for investors because of a number of reasons. Firstly, you diversify your risk with the many different REITs under the REITs ETFs. It also saves you the trouble of having to pick and choose which REITs to invest in. An ETF is also less prone to fluctuations and does not require you to closely monitor its performance.